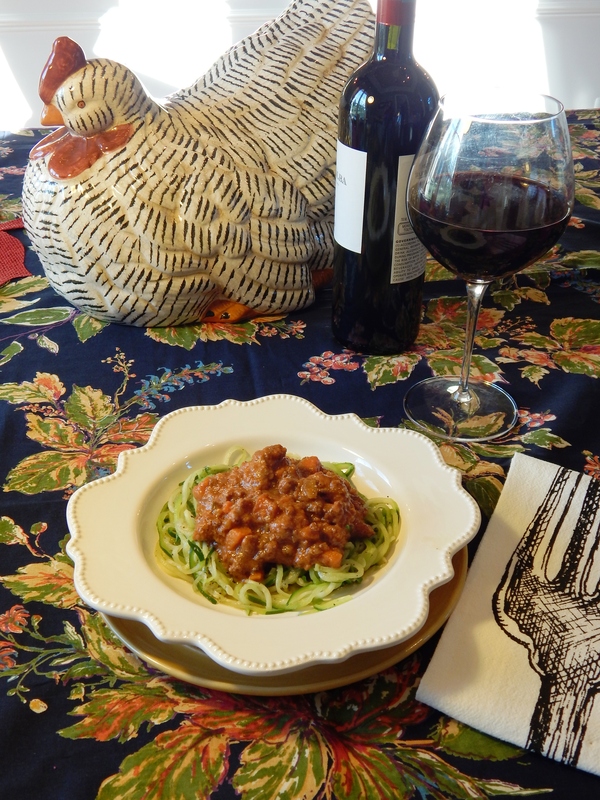 If you are looking for a delicious meaty bolognese sauce, then this one is sure to hit the spot! I cannot call it classic, because it doesn’t contain dairy, and I have taken some liberties beyond the Academia Italiana della Cucina‘s official definition so it is Specific Carb Diet friendly. But I have to say, it tastes pretty darn authentic! 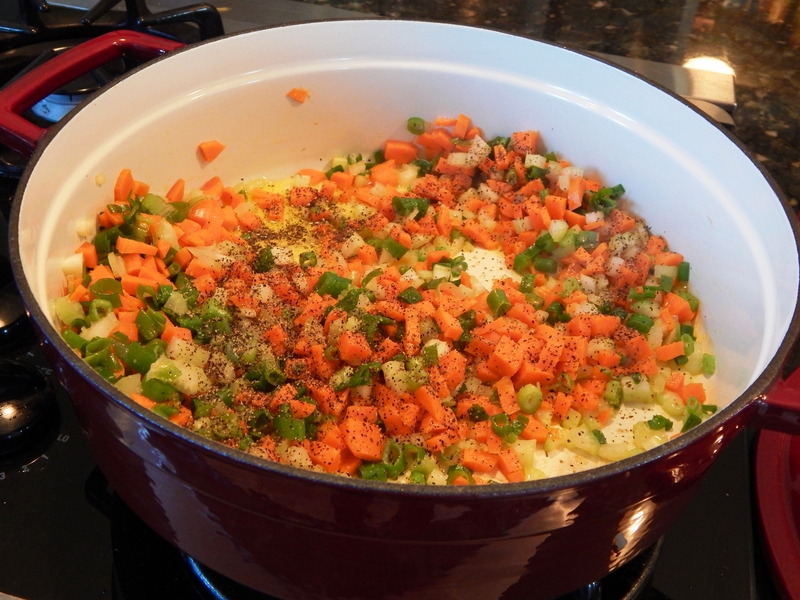 You start with a Soffrito Base also known as the Holy Trinity…Carrots, Onions (Green Onions in this Case) and Celery, finely chopped. 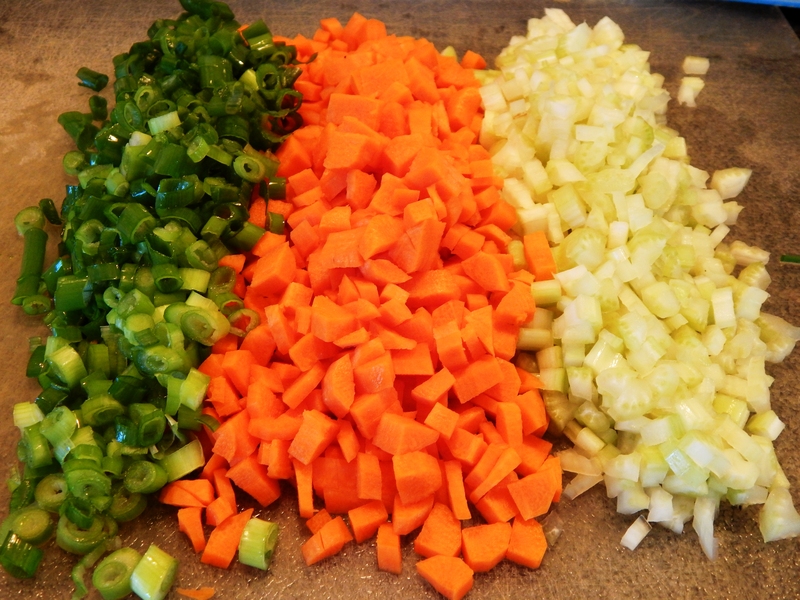 Directions: Finely Dice your Scallions, Celery and Carrots. Add two tablespoons of Garlic Infused Olive Oil to a large stock pan over medium high heat. 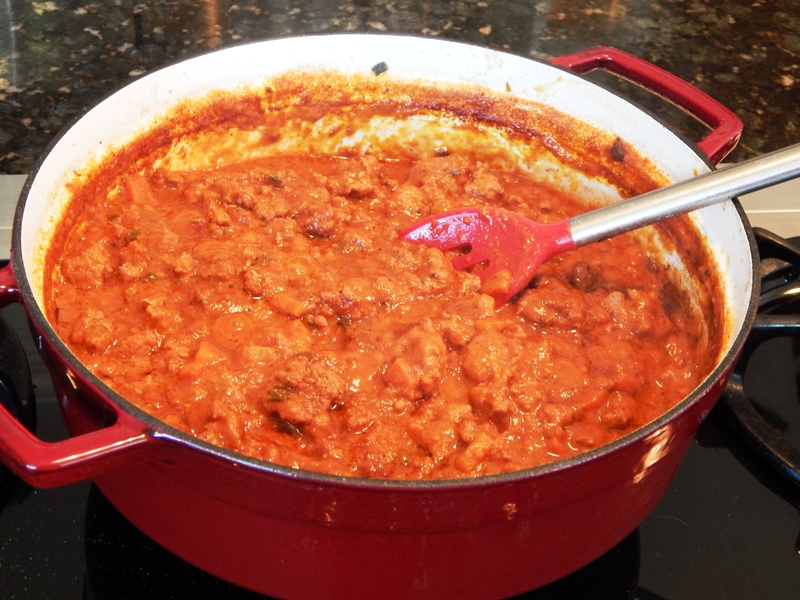 I love this brand and used the 5 quart braiser for this recipe, if you are looking for a good versatile pot. Add your scallions, celery and carrots and sprinkle with 1 teaspoon of Himalayan Pink Salt and 1 teaspoon of Black Pepper. Sautee for five minutes until starting to brown and they are tender, stirring occasionally. Turn heat to high and add the two pounds of ground pork sprinkled with another 1/2 teaspoon of Himalayan Pink Salt and 1/2 teaspoon Black Pepper, and continue to cook, breaking up the meat until the meat is starting to caramelize. Don’t skip the caramelization! It adds flavor! It will take about ten minutes. When meat has caramelized and you have a nice brown coating on the bottom of your pan, you deglaze! Pour the red wine into the pan, bring to a boil for one minute scraping the bottom of the pan to release all the brown bits and flavor. Add your stock, tomato puree and coconut milk and bring to a boil. Then, turn heat to a low simmer and cover the pot 3/4 with the lid and simmer for four hours until very thick and reduced. If it starts sticking before the four hours add more stock just a half cup at a time. Taste and season with additional salt and pepper to taste. Serve over noodles of your choice. 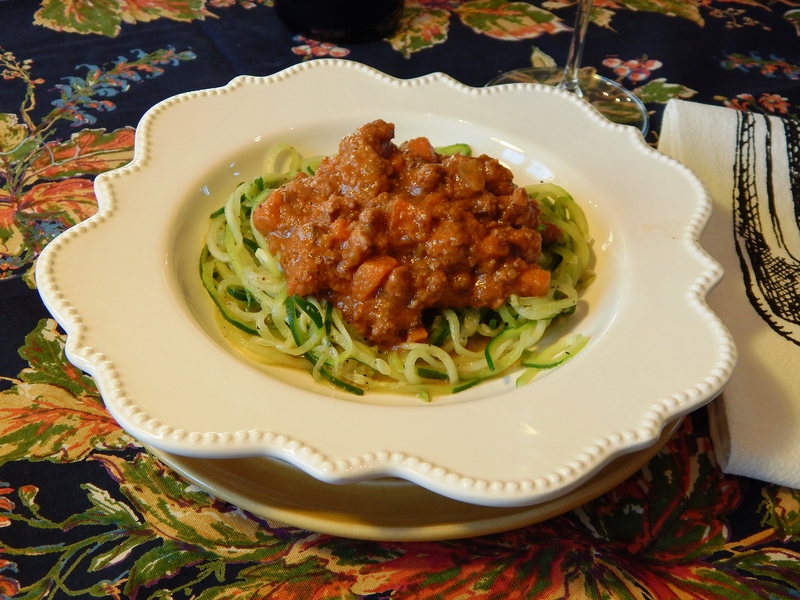 I used zucchini noodles in the photo below, I have also served it with spaghetti squash noodles.